GRAPHIC WARNING: Contains images which some viewers may find disturbing. 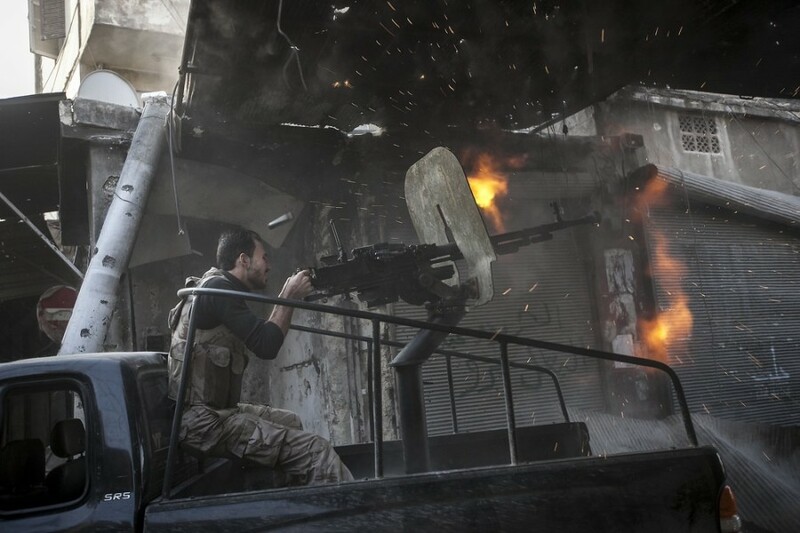 A rebel fighter fires a gun toward a building where Syrian troops loyal to President Assad are hiding while they attempt to gain terrain against the rebels during heavy clashes in the Jedida district of Aleppo, Syria on Nov. 04, 2012. The bloody conflict in Syria shows no sign of abating with 179 people reported killed on Sunday and at least eight on Monday, according to opposition activists cited by Reuters. The Syrian government restricts journalists' access in Syria, making it difficult to verify reports from the ground, but Associated Press photographer Narciso Contreras has been able to document the fighting in Aleppo from the rebel side over recent days. 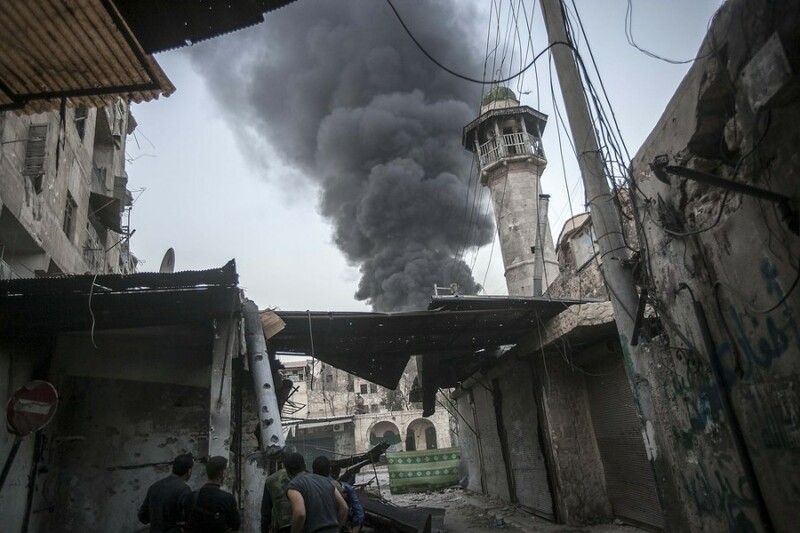 Rebel fighters watch as smoke rises after Syrian government forces fired an artillery round at a rebel position in the Jedida district of Aleppo on Nov. 04, 2012. 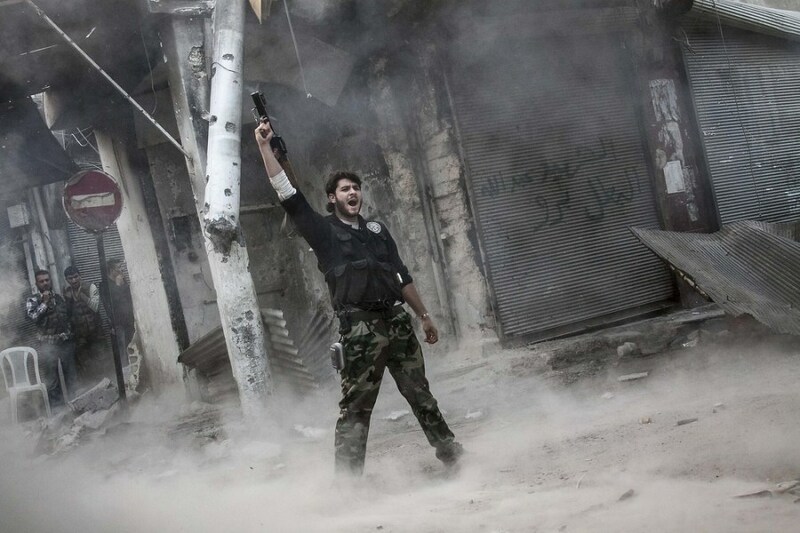 A rebel fighter celebrates after he fired a shoulder-fired missile toward a building where Syrian troops were hiding in the Jedida district of Aleppo on Nov. 04, 2012. 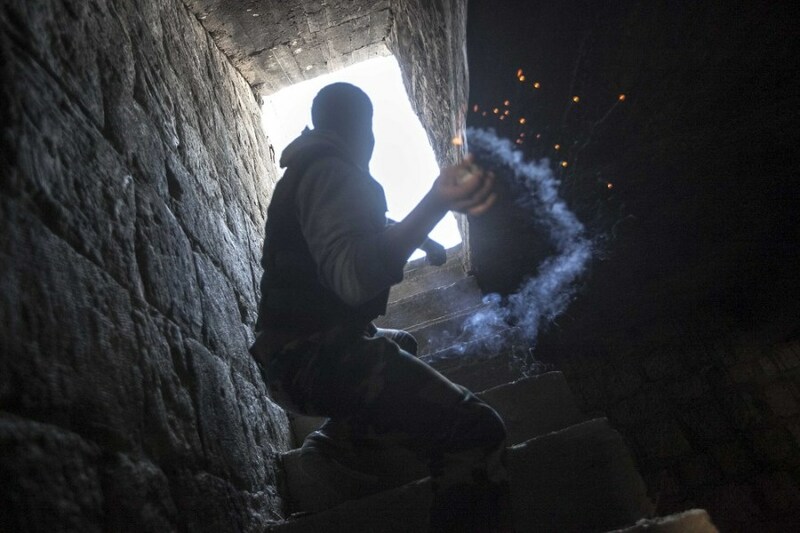 A rebel fighter prepares to throw a homemade grenade toward Syrian troops hiding in a nearby building in the Jedida district of Aleppo on Nov. 04, 2012. 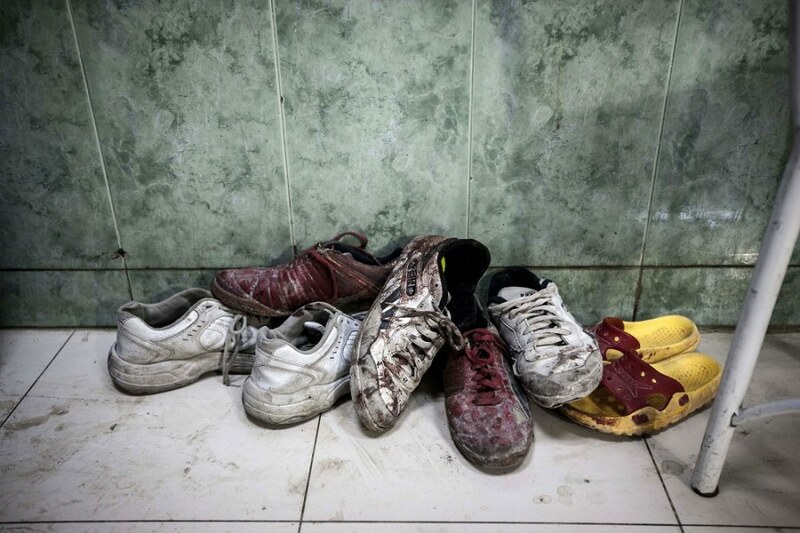 A pile of shoes covered by blood from wounded or dead residents lies at the entrance of the emergency ward at a hospital in the Tarik Al-Bab neighborhood in Aleppo on Nov. 1, 2012. A rebel fighter watches windows in an overlooking building as he waits for loyalists to President Bashar Assad to appear during heavy fighting in the Jedida district of Aleppo on Nov. 03, 2012. 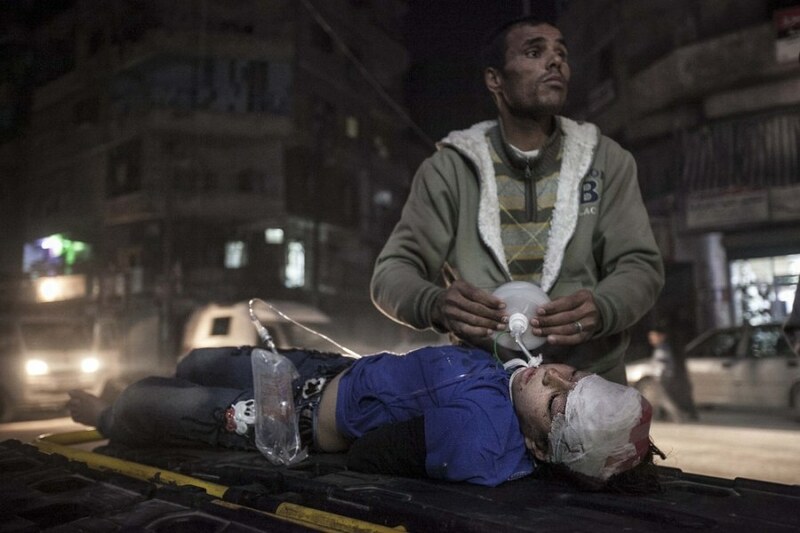 An 8-year-old girl struggles for life outside a hospital after she arrived badly injured by an aerial attack by government forces in the Bab al-Neyrab neighborhood of Aleppo on Oct. 31, 2012. 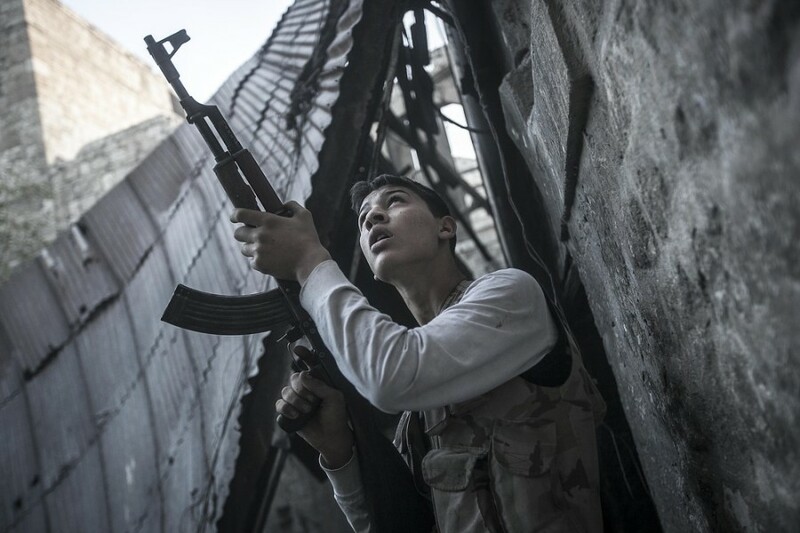 Are children fighting on Syria's rebel front lines? An opposition group and an activist organization say that 269 people have died in a rash of violence since Sunday. NBCNews.com's Dara Brown reports.